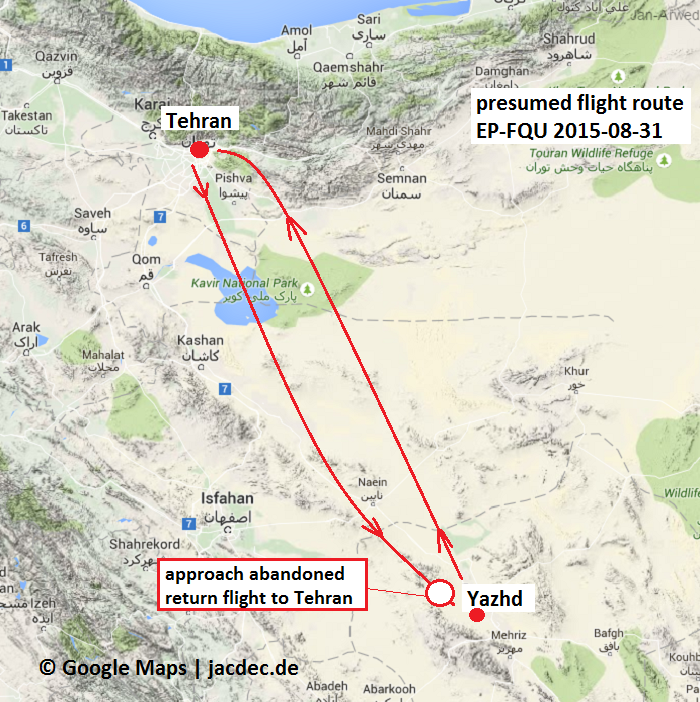 On approach to Yazhd Airport, the pilots received indication about a problem with the nosegear system. The nosegear failed to extend. 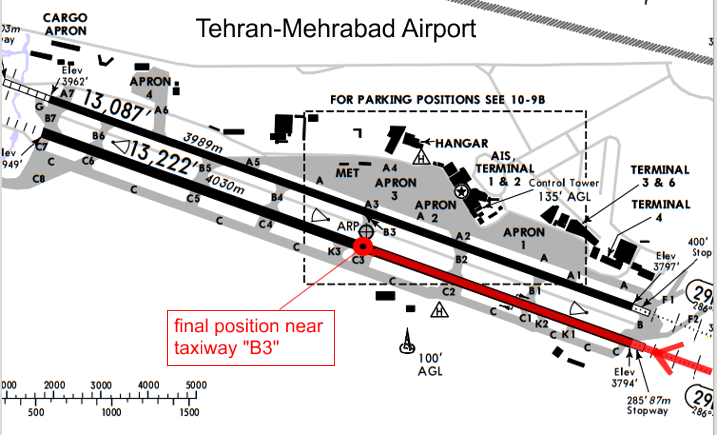 Further approach was abandoned and the pilots elected to return to Tehran. After multiple efforts to lower the nosegear failed, the aircraft was forced to make a nosegear-up landing on runway 29L(eft). 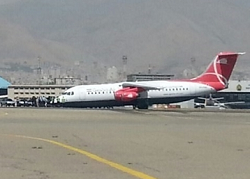 The Avro Jet came to a safe stop on the runway near taxi way „Bravo 3“. There were no injuries. Damage to the aircraft is considered substantial.